The citadel has begun to crumble. Early on Monday morning, Maoists suffered their biggest setback in an area where they have notched up some of their biggest successes in recent years. Twenty four Maoist cadres – among them some of the big guns of the dreaded Andhra Odisha Border Special Zonal Committee (AOBSZC) of the CPI (Maoist) — lay dead at the end of the encounter with a joint team of Andhra Pradesh and Odisha police. It was this remote, rugged, forested terrain known as the ‘cut off’ area – a cluster of some 150 villages separated from the mainland by two reservoirs — that the Maoists had made their home for over a decade now. Situated in the tri-junction of three states – Andhra Pradesh, Odisha and Chhattisgarh – it was an area where the writ of the state simply did not run and Maoists did as they pleased till recently. The densely forested area made it possible for the Maoists to roam freely from one state to the other even as it made it difficult for security forces to enter the area. And when they did, the cut off area proved to be a veritable graveyard for the security forces. On 29 June, 2008, Maoists ambushed a motor boat carrying 38 personnel of ‘Greyhounds’, the elite, anti-Maoist unit of Andhra police (the same outfit that led the operation on Monday morning), who were returning after a back-breaking three-day combing operation in the ‘cut off’ area through the Balimela reservoir, killing all of them. Less than a month later, the Red ultras blew up an anti-landmine vehicle, killing 17 paramilitary personnel on the spot. In February 2011, they abducted R Vineel Krishna, the then collector of Malkangiri, while he was on a visit to the area to oversee some development projects and kept him hostage for nine days before releasing him. 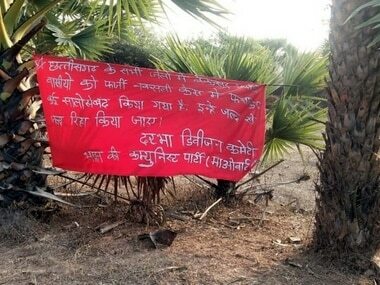 Though killing of tribals on suspicion of being police informers and attacks on public assets like mobile towers and construction sites have continued intermittently, it has been clear for some time now that the Maoist hold on the area is slackening. The biggest proof of the dwindling clout of the Red rebels in the area is the frenetic pace at which work on a 918 metre bridge over river Gurupriya, a project that has had to be abandoned repeatedly in the last few years due to stiff opposition from Maoists, has been progressing in recent months. On a visit to the area in June this year, additional chief secretary UN Behera had boasted that the bridge would be completed before the deadline of September next year. Once completed, the bridge would connect the ‘cut off’ area to mainland Malkangiri by road, making it easier for security forces to reach there – the main reason the Maoists have opposed it all these years. How did the turn-around in fortunes for Maoists come about? Reports from the ground suggest that it is the steadily shrinking support of the local tribals that has weakened the Maoists in the recent past. Disillusionment with the Maoists, coupled with the mass outreach programme launched by Malkangiri police under the leadership of SP Mitrabhanu Mohapatra, has seen scores of Maoists surrender and hundreds of their supporters and sympathisers joined the social mainstream in recent months. Over 200 Maoist sympathisers turned their back on their erstwhile benefactors in March-April this year. In fact, sources in the Odisha police confirmed that the information about Maoists assembly in the Bhejingi forests was passed on to the security forces by villagers. 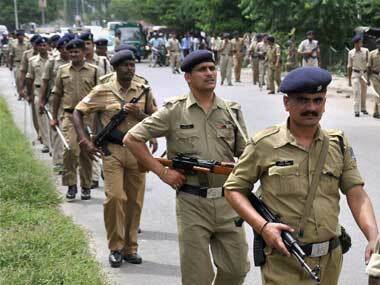 Having received this vital information, Odisha police sounded out its Andhra counterpart two days before the encounter. 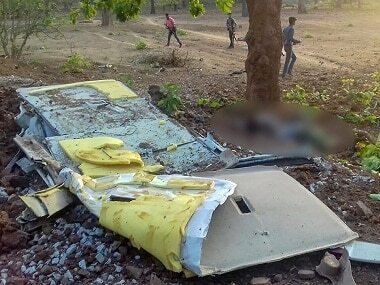 Together with the Special Operations Group (SOG) and District Volunteer Force (DVF) of the Odisha Police, the ‘Greyhounds’ of the Andhra Police prepared the blueprint for the ambush that ultimately resulted in the killing of the 24 Maoists on Monday. 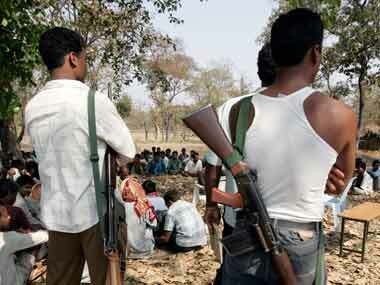 Not long ago, Maoists were active in as many as 18 of the 30 districts in Odisha. 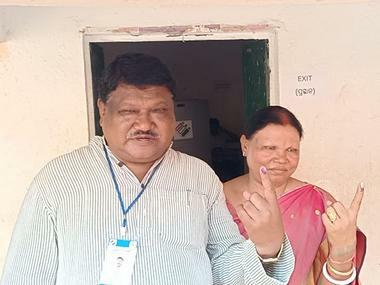 But with their footprints steadily vanishing from most of these areas, including the Narayanpatna and Bandhugaon areas in neighbouring Koraput district, the cut off area in Malkangiri remained their sole stronghold. Once this area is freed from their clutches, Maoists would have a tough time finding a foothold in Odisha.